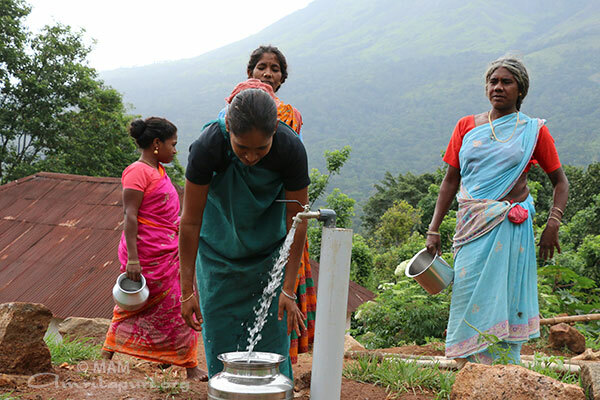 Under our Amrita SeRVe initiative–101 village adoption program–the people of the villages of Harirampur of Rajasthan; Guptapada, Odisha; and Komalikudi of Kerala are now able to receive water through an underground pipeline system in front of their houses. 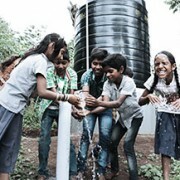 In all these villages, pipelines were laid, overhead water tanks were built, pump sets were installed, and electrical connections were made. To lay down the pipe, in several places, the team had to dig several meters into the ground. In Komalikudi, we also dug a bore well in the village’s temple compound. 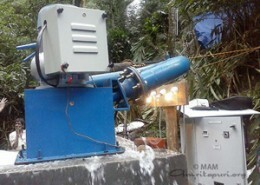 In Guptapada, the water pump is automated—when the water level reaches a minimum level, it will start pumping automatically. 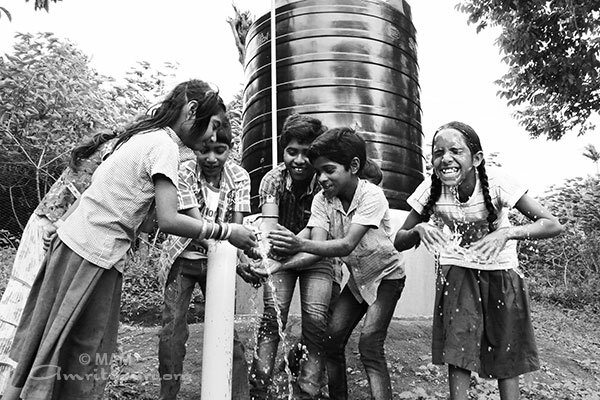 In Komalikudi, not only all homes, but the village’s community center, the Anganwadi, and the multi-grade learning center now have access to water. 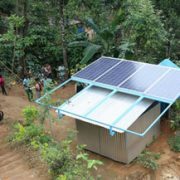 Furthermore, the entire water distribution framework is powered by a micro-hydro-electric generator, as part of Amma’s commitment to using renewable resources to provide electricity to rural communities. 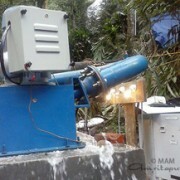 The continuous supply of power from the generator ensures that villagers have access to clean water throughout the day for their daily needs. 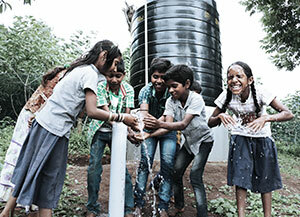 The village children, many of whom had never seen a water tap before, also said that Amma had done a very nice thing for them. 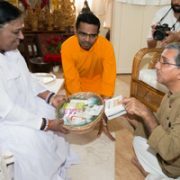 “Amma has done so much for us, we also want to do something for Amma. What can we do?” asked the children innocently to the Amrita team members. When the villagers of Guptapada first found out what the Amrita team intended to do, they became very enthusiastic to help. 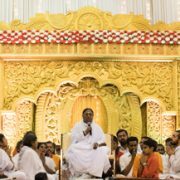 “All of you are helping us. We will also help you. This is our village. We will work with you!” they said. Urmilla, a young village woman, said that having the water tank in the village “is a great privilege” and one that will not go unacknowledged. Seeing the work done by the Amrita team and villagers, Thathi, Komalikudi’s innocent yet wise matriarch, repeatedly said the availability of clean water inside the village was “a great blessing from Amma.” The village children who would squeal with joy every time they opened a tap, marveling at the flow of cool, clean water, echoed the same sentiment. 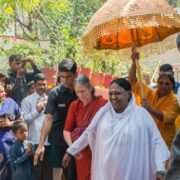 There was an immense amount of community participation and the villagers enthusiastically donated their time, land, and work hours to the project. 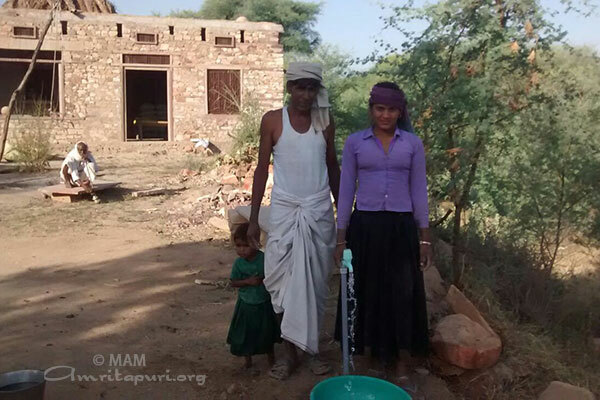 For many villagers in India, collecting and storing water is part of their daily routine. However, villagers often have to walk several kilometers to gather water necessary for themselves and their families, sometimes walking several times a day. 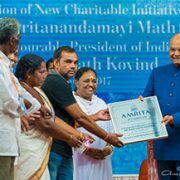 Now, in these three villages, in addition to eliminating strenuous and repetitive commutes to water sources, inhabitants from all three villages can now conveniently use the newly built toilets in their houses, constructed by Amrita’s Sustainable Rural Sanitation Model and Training Program. Furthermore, now encouraging them to use of toilets in their own homes. Young girls and women will be safer without having to make the trek to isolated fields to relieve themselves. And with easy access to water, the overall hygiene of the villages will increase and the spread of infectious illnesses will be reduced. This project is part of Amrita University’s commitment to deploying technology for sustainable development – solving real world problems with observable and measurable outcomes.